Some readers will have been heartbroken/pretty damn stressed out after Uber’s English-language China app ceased operations at the end of November. After its acquisition by Didi, Uber in China became a different legal entity from Uber global, and users who want to use Uber services here will have to install the new Uber China app. We can’t say we haven’t seen this coming – one internet for the world and another one for China, and all that. The new app comes with a fair few inconveniences, but fret not – we’ve prepared a guide for you to get your head around the new app and get Ubering in no time. 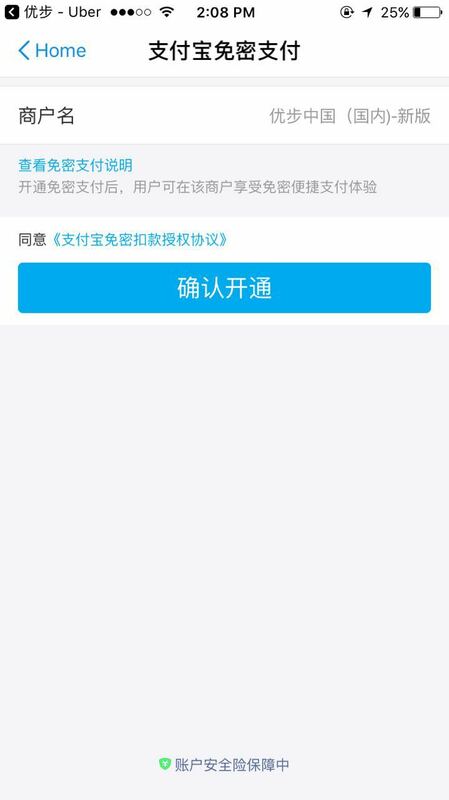 Once you get the Terms of Service page out of the way, you have to link a Chinese bank card to the Chinese app store – no surprises there. They only accept UnionPay cards. Alipay also won’t work here if you don’t have a Chinese ID. Woohoo you’ve made it this far! Now time to fire up the Chinese app store and get that Uber China app downloaded. Simply type in Uber and you will find the app. In case you’re wondering, the negative reviews are mainly complaints about the customer service operators being unresponsive and problems with linking the app to Alipay, as well as the monopoly Uber-Didi now has and how Uber prices have risen since the deal. Some teething problems, some not. Now you’re in the Chinese Uber app, click on “注册“ to register a new account for Uber China. You have to create a new Uber China account to use the app, which you can’t create unless you have a Chinese mobile phone number. 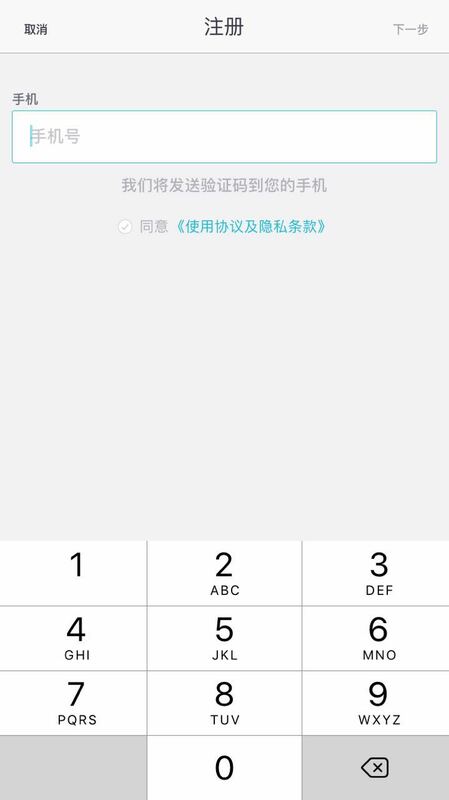 Input your Chinese number into the number field, and click “下一步“ on the top-right hand corner of the screen to receive your 4-digit SMS verification code and verify your number on the next page. Now, you have to choose a valid payment method, in the form of Union Pay or Alipay – nope you can’t use your beloved WeChat wallet for this nor those flashy international cards. We went with Alipay because it offers the most convenience for us. 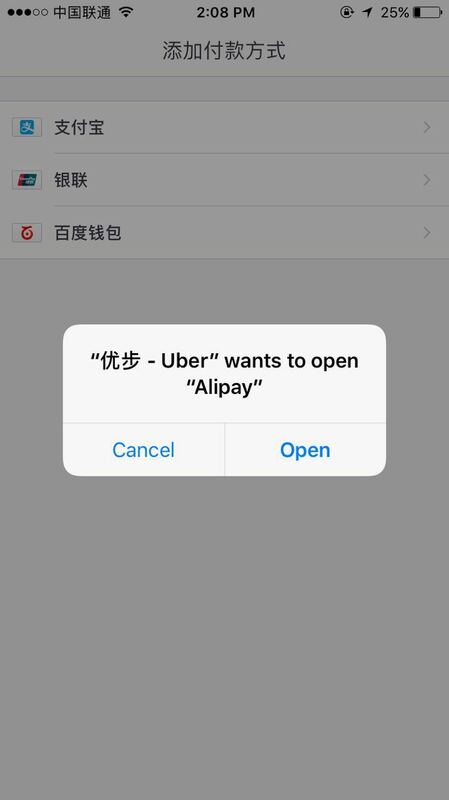 Let your phone open up Alipay, and agree to “kaitong” (link) your Alipay to your Uber China account. Voila! Now you are finally back on familiar ground. Be mindful that searches in English are pretty limited so it’s better that you know the pinyin or Chinese characters of the place you’re heading to. People’s Uber on the left, and standard Uber on the right. 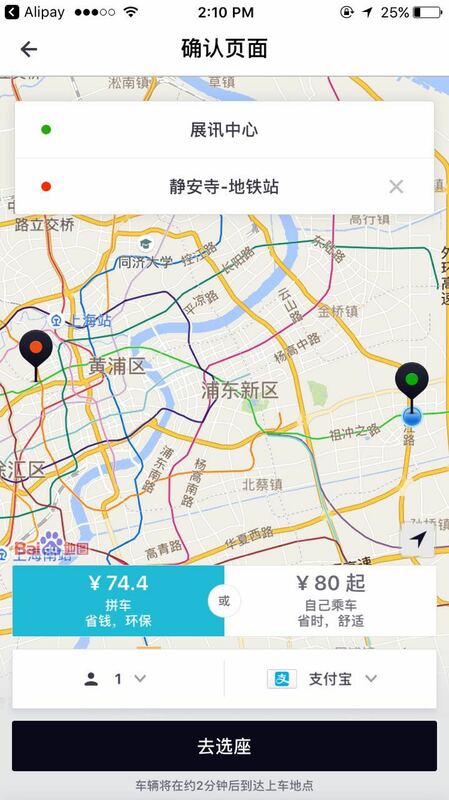 Currently, Uber China has no English interface and is only available in Chinese. Didi has said that it intends to bring back other language options and international cards to Uber, but hasn’t mentioned when we can expect these updates. 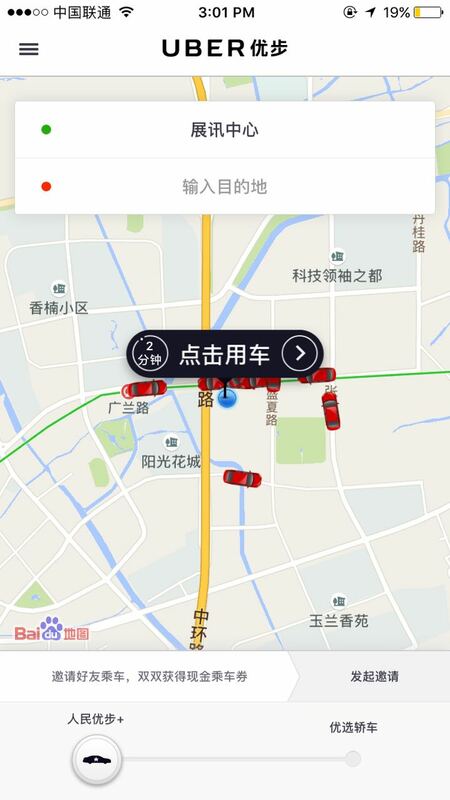 One thing that has improved post-Didi acquisition is WeChat integration with Uber – users now can let their trusted friends track them real-time on their Uber rides via WeChat lest something untoward happen to them.